A previous blog explained how the SNR (Single Number Rating) figure of a CE approved hearing protector was used to predict the amount of hearing protection provided. It also suggested exercising caution using the SNR for the prediction if the offending noise was excessive in high or low frequencies. Only one value, the equivalent continuous ‘C’ weighted sound pressure level was required for the prediction exercise. For noise content rich in high and low frequencies it may be preferable to use the HML method instead for predicting the hearing protector attenuation, but the sound level meter that is measuring the noise must be capable of at least capturing ‘A’ weighted and ‘C’ weighted sound pressure levels (if it has no facility for taking octave band measurements). 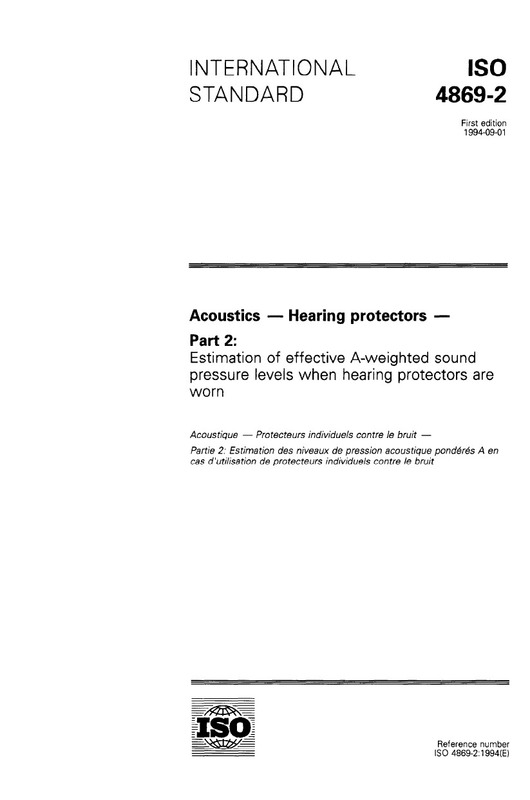 The HML of a hearing protector (CE approved) specifies 3 values, viz. High (H), Medium (M), and Low (L) which usually accompany the product packaging, and these values are derived from the octave band attenuation performance of the hearing protector using an ISO standard. 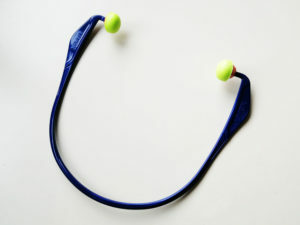 where LAeq’ is the noise level predicted ‘underneath’ the hearing protector. 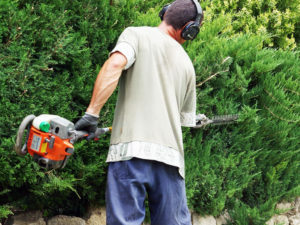 The HSE recommend adding 4dB to this noise level to allow for ‘real world’ factors such as improper wearing of hearing protection and interference (particularly when wearing earmuffs) from other forms of headwear such as glasses and earrings. As an example, for a hearing protector (where H = 25dB, M = 18dB, L = 13dB) in a noise field where LCeq = 103dB, and LAeq = 104dB, we have (LCeq – LAeq) = 103dB – 104dB = -1dB (which is numerically less than 2dB). Hence L Aeq’ = 104dB – 23.3dB = 80.7dB (or 81dB to the nearest whole dB). Allowing for the ‘real world’ factor of 4dB, an 85dBA noise level is predicted ‘underneath’ the hearing protector. You may find it more convenient to use the HSE Hearing protection calculator spreadsheet on http://www.hse.gov.uk/noise/calculator.htm, under the “HML” tabbed worksheet. Important! The LCeq measured quantity is different to an LCpeak one also seen on sound level meters and should not be confused with one another. The latter is a ‘C’ weighted absolute peak measurement where high peak levels may present a risk to hearing from a physical damage point of view. The selection of appropriate hearing protection against such damage uses a prediction method (which also uses the HML data) that is different to the one described in this posting. It should be emphasised that the octave band method of predicting attenuation is regarded as the most appropriate (and best practice) method to use particularly when the noise is tonal at low frequencies. To use this method your sound level meter must have the capability to measure noise in octave bands. Essel Acoustics has the skills, experience and qualifications to carry out a noise risk assessment which will include recommending the appropriate hearing protection for staff working in your environment, to fulfil regulatory requirements. Click here to download a free guide on how to conduct a competent noise risk assessment (which also includes a section on hearing protector overprotection).